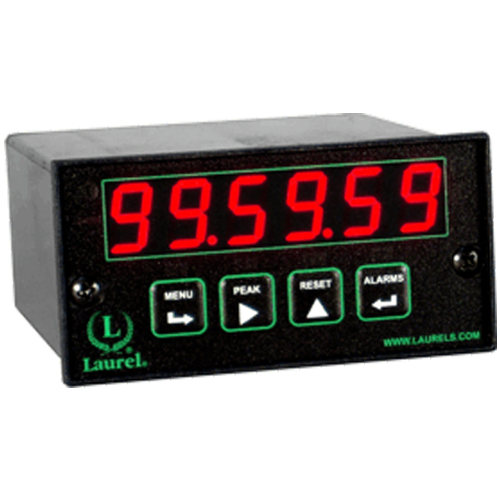 Laurel Digital Counters & Timers Distributed by FLW, Inc.
Two independent scalable pulse-input channels from 0 Hz to 1 MHz. Channels may be combined arithmetically. One channel can display total while other displays rate. 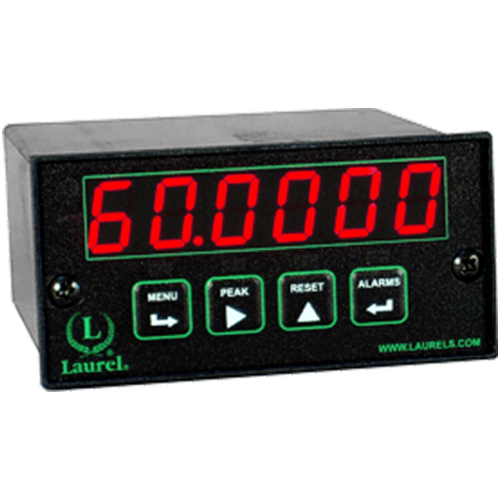 User-scalable for display to ±999,999 for 0-1 mA, 4-20 mA, or 0-10 V process signals requiring zero and span adjustment. 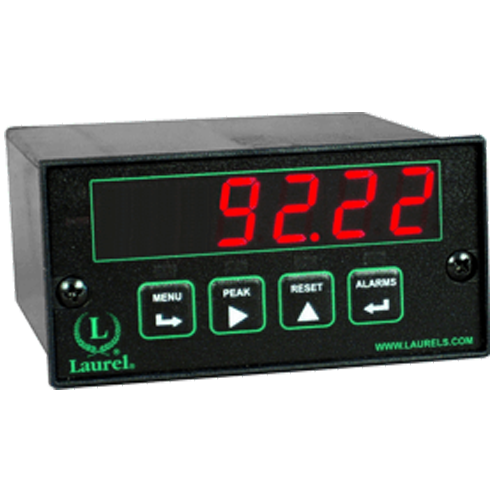 Includes a voltage-to-frequency converter to totalize analog signals, for example to display volume from a 0-10V flow transducer. 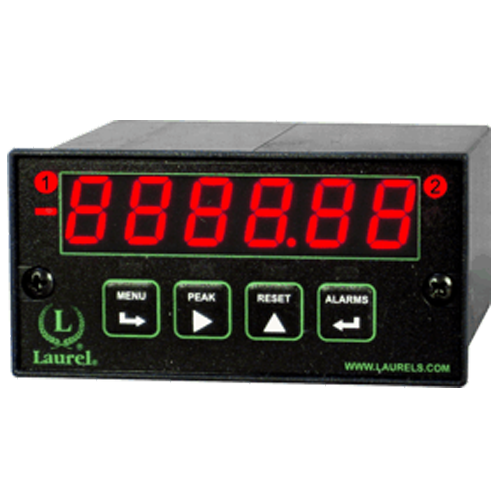 Configured to time single events or processes which produce start and stop pulses. Duration can be from less than 1 µs to 999,999 hours. Timing resolution to 0.2 µs. Time may be displayed in HH.MM.SS clock format to 99.59.59 with 1 s resolution or in decimal H, M or S format with six-digit resolution. 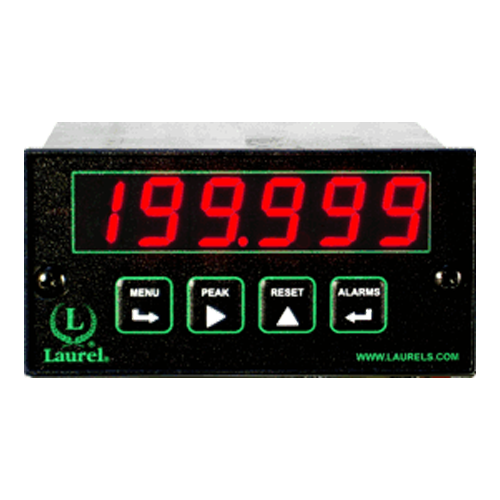 Configured to time periodic events which produce start and stop pulses from 1 µs to 199.99 s over a programmed gate time up to 199.99 s. Timing resolution to 0.2 µs. A low-cost controller for repetitive fill operations. 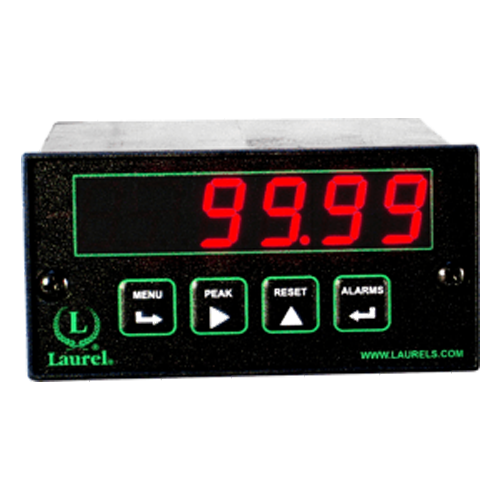 The typical application utilizes a flow meter input and two built-in relays: a Prewarn relay slows down the pump near a preset to avoid overshoot and a Batch relay stops the pump at the preset. 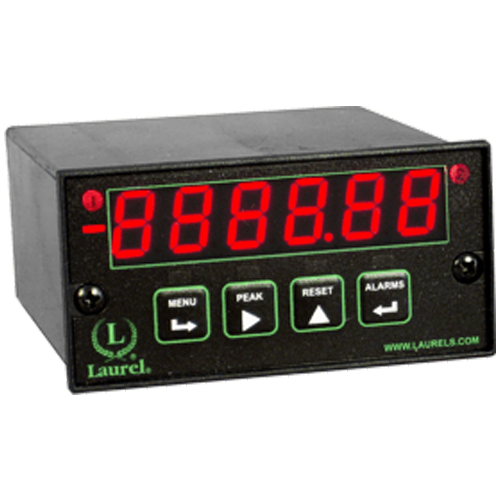 Accepts low-level differential or single-ended 5 V logic level quadrature signals from shaft encoders to display scaled position or scaled rate. One, two or four transitions may be counted at a maximum combined rate of 250 kHz and be mathematically scaled to display in engineering units from -999,999 to +999,999. Configured display ON or OFF period as a percentage of total period over a gate time from 10 ms to 199.99 s. A resolution of 1%, 0.1% or 0.01% is selectable. Ideal for repetitive short pulses with a pulse width down to less than 1 µs.